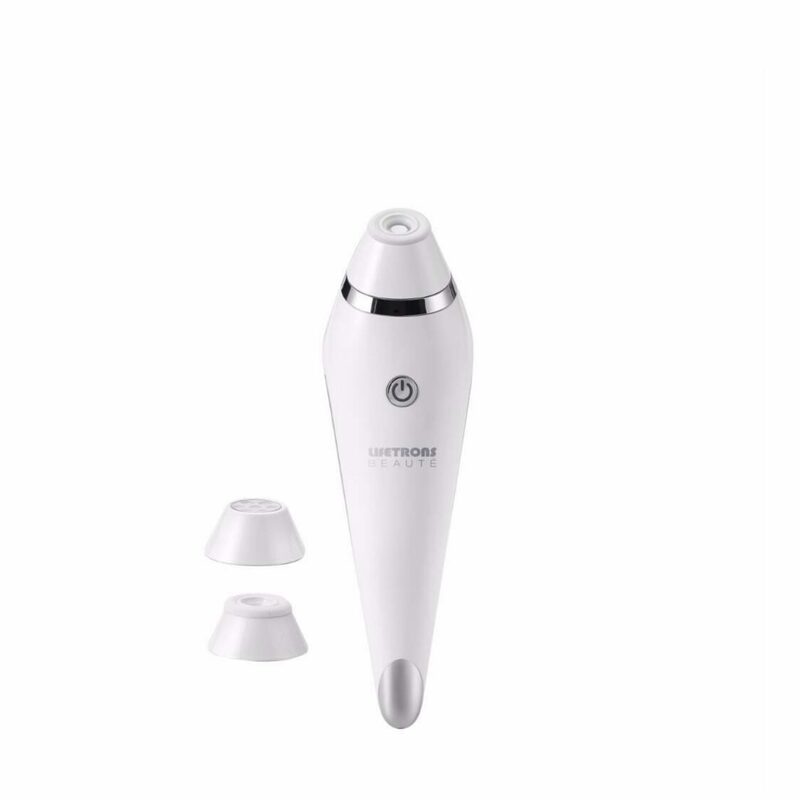 Combines micro-dermabrasion, blue light therapy and negative ion massage into one beauty device. Vacuum suction may help remove dead skin, blackheads and dirt from the pores. Blue photon light may help calm the skin, reduce oil, clear up blemishes and effectively treat acne. Negative ion technology may help deliver nutrients from face creams or serums deep into skin's layers. Exfoliates and resurfaces the skin for a brighter complexion. Helps reduce swelling and enhances facial contour. Two interchangeable exfoliating heads for different levels of skin sensitivity. Rechargeable design with long lasting battery life.